Located on the best zone in Puerto Vallarta, 5 minutes south from the International Airport and 5 minutes from downtown Puerto Vallarta. Hotel within a typical Mexican town!! A unique horizontal complex developed over 32 acres, divided into four sections: The Horse Shoe section, The Aqueduct, Villas and Convention Center. You can admire a Colonial Architecture that goes from one to three story constructions, aqueducts, over 40 bubbling fountains, 3 giant swimming pools with a view of the Bay, and two swim-up bars; a pool with slides that attracts kids, or one semi-Olympic for those who care about keeping in shape; 4 restaurants including Bogart's, Kamakura and Tango for specialties; Cafeteria La Noria, and Christine Disco that happens to be a landmark in Puerto Vallarta; bars, two tennis and two racquetball courts. The Convention Center offers nightly entertainment and enjoyable theme parties. Additional activities include the Krystalitos Club, swimming pool, beach activities, and water sports. Motivated Seller! Enjoy this fantastic Puerto Vallarta resort in a red week ! RTU until 2034! Buyer may receive a title fee credit, inquire today! Enjoy well-deserved vacations! Floating week during even years! Buyer may receive a title fee credit, inquire for details! RTU until 2036! Buyer receives complimentary closing credit, inquire for details. Floating red season week at this luxurious Puerto Vallarta retreat! RTU until 2034. Floating red season week! RTU until 2029. Beach lovers' paradise! Yearly floating week with RTU until 2023! Make your offer today! Floating Red season week in scenic, colorful Mexico! RTU expires in 2023! Buyer may receive a title fee credit, inquire for details! Resort is right on the beach! Sit back & relax in the sun or explore 1 of the many activities & attractions! RTU in perpetuity! 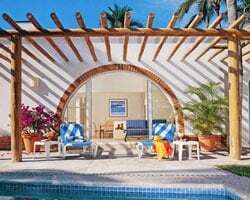 Ocean view suite at this Mexican paradise! RTU until 2025! Buyer receives complimentary closing credit; inquire for details! Oceanfront resort! Use the concierge & explore the best activities & attractions! Buyer May Receive A Title Fee Credit, Inquire For Details! 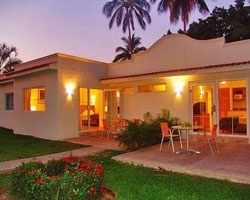 Locations in Cancun, Puerto Vallarta and more! RTU until 2025! Buyer May Receive A Title Fee Credit, Inquire For Details! Beautiful oceanfront resort! RTU until 2033! Buyer May Receive A Title Fee Credit, Inquire For Details! Enjoy annual vacations in a 3 bedroom grand villa! RTU until 2029! Buyer May Receive A Title Fee Credit, Inquire For Details! Suite has a beautiful ocean view! RTU until 2027! Buyer May Receive A Title Fee Credit, Inquire For Details! Floating week in odd years! RTU until 2035. 13 reg weeks + 18 bonus weeks! Price is negotiable! Very Motivated Seller! Must sell! Annual floating week! Discover the many possibilities available throughout Mexico until 2036! Buyer May Receive A Title Fee Credit, Inquire For Details! Annual floating week! RTU until 2038! Buyer May Receive A Title Fee Credit, Inquire For Details! 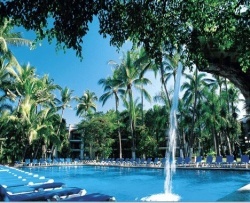 Choose your week each year at this fantastic Puerto Vallarta resort! RTU until 2031! Can use any week in June or September! rtu until 2026! Buyer May Receive A Title Fee Credit, Inquire For Details! Explore Mexico during any week in red season! Buyer May Receive a Title Fee Credit, Inquire For Details! Make unforgettable memories in Puerto Vallarta each year! Buyer May Receive A Title Fee Credit, Inquire For Details! Price Just Reduced! Come to Mexico during any week! RTU until 2026! Buyer May Receive A Title Fee Credit, Inquire For Details! Floating red season week of your choice at this luxurious resort! RTU until 2035! Buyer may receive a title fee credit, inquire for details! 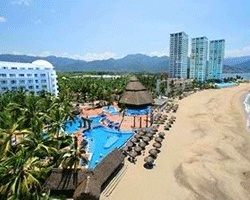 Floating week of your choice at this stunning Puerto Vallarta resort! RTU until 2036! Buyer may receive a title fee credit, inquire for details!